As a special thank you from KingsIsle you can pick up some extra gold for your Pirate101 or Wizard101 characters! 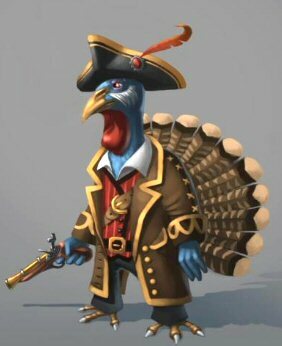 It’s that time of the year where we do a lot of thinking about being thankful, and here at KingsIsle that means reaching out to you – our players! To show our appreciation, we’re giving you free gold to enjoy in both Wizard101 and Pirate101 games! Each code may be used one time per account, and gives you a chance to be awarded up to 5,000 gold in Wizard101 and/or Pirate101. Get your free gold now, because this offer ends November 26th, 2012 at 11:59pm US Central Time. Choose your game below and login. Enter the code displayed in the pop-up window to get your free gold. Then go in-game and redeem your prize for the character you wish to use the gold for. That’s all there is to it! Thanks KingsIsle! For the free gifts and appreciating your fans!